Comment: Our 2nd floor is the master bedroom, but the closets are attached to attic space. 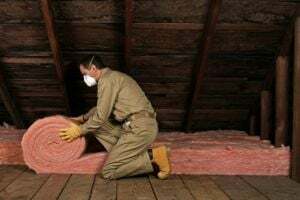 The insulation for the house is old and not energy efficient. We'd like a quote to upgrade / replace the insulation in our house wherever it is needed. We are also trying to look at vinyl siding and time both projects together. Comment: 64 year-old sided ranch. Comment: I need the entire existing house insulated. This house was added on to and only half of the attic is insulated now. And if possible the crawl space. Comment: 1600 square feet approximately, 50 year old home with very poor insulation. Eastlake Insulation Contractors are rated 4.81 out of 5 based on 270 reviews of 10 pros. Not Looking for Insulation Contractors in Eastlake, OH?